Multi home page layouts (5 options). Show product reviews on product page to improve SEO. Zoom image on light box with nice gallery. Capability to configure your Twitter account to call out latest tweets. 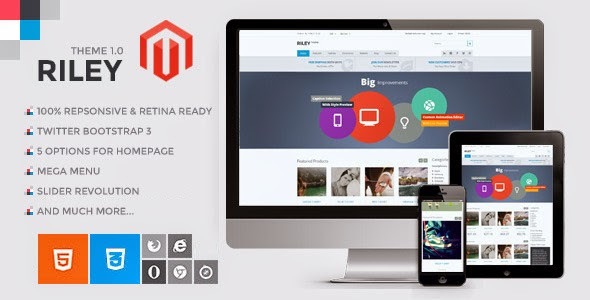 Item Reviewed: Riley Classy Responsive Magento Theme 9 out of 10 based on 10 ratings. 9 user reviews.